Magic with a marked deck has never been easier to learn! 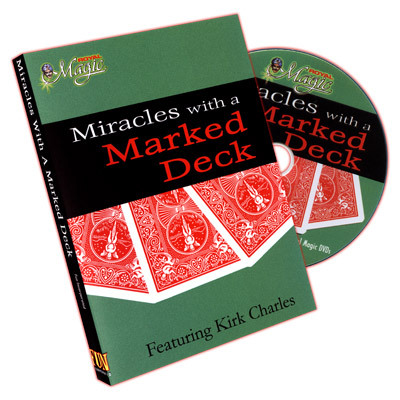 On this DVD, professional magician Kirk Charles explores the workings of a marked deck and demonstrates its use in over one dozen stunning tricks. From mind reading effects to supposed demonstrations of super-skills, Charles shows how this subtle yet powerful magical tool can be developed into a devious secret weapon in any magician's bag of tricks. 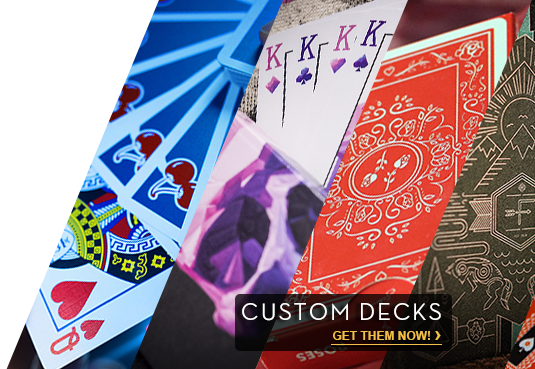 Instantly memorize the order of the entire deck! Tell the difference between black and red cards - apparently by weight alone! Analyze a spectator's handwriting as if you were an expert graphologist! Determine the name of a spectator's selected card - before even he knows its identity! In addition to tricks, Charles discusses the psychology behind working with a marked deck and how to conceal its presence from an audience. Years of careful study and practice are laid bare on Miracles with a Marked Deck. Charles also talks about the history and background of marked decks, and the development of modern marking systems including the popular Boris Wild Marked Deck. Kirk Charles is a professional magician living in Seattle, Washington. His book on magic with a marked deck, Hidden in Plain Sight, is the standard reference work on the subject and recommended reading for owners of the Miracles with a Marked Deck DVD.